Do you have an American Express’ ZYNC card, live in LA, and love to shop? Well, American Express’ newest charge card, ZYNC, gives LA fashionistas access to top designers, including: Ariel Gordon Jewelry, Corey Lynn Calter, Havaianas, House of Harlow 1960 Footwear & Jewelry, Isabel Lu, Luv Aj, Michael Stars, Rebecca Minkoff, Shareen Vintage, V. Vintage Jewelry, and Winter Kate at the “ZYNC Designer District” located on the 3rd fl. studio, next to the rooftop of Lucky Shops LA. While LA Fashionistas will all be able to shop some of the hottest designers in the ZYNC Designer District, featuring designs from House of Harlow, Michael Stars, Havaianas, Rebecca Minkoff, Ariel Gordon Jewelry from 12 PM on Friday and lasting through a shop-a-thon on Saturday at 10 AM, ZYNC Cardmembers will have that and more! 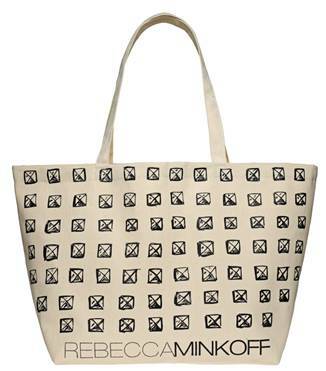 ZYNC Cardmembers who use their card for purchases in the Designer District will receive a limited edition custom tote designed especially for ZYNC by Rebecca Minkoff. From March 22-24, HauteLook members will have an exclusive opportunity to buy tickets to this can’t-miss event. To Purchase Tickets Visit www.luckyshops.com or 1.866.4LUCKYU (1.866.458.2598). Are you still wondering what the perfect surprise gift would be for the one you love this Valentine’s Day? Well American Express has the answer. In the fall, I was so lucky to partner with them for a “Brides Love Fashion” event where one lucky winner (Emily) received backstage access to the Tory Burch show, met the fabulous Ms. Burch and received tons of wedding goodies thanks to American Express, Michael C. Fina and Dermalogica. Right now, YOU can create your own private access package as an American Express Cardmember. On February 10 at 8 PM, American Express will present The CFDA/Vogue Fashion Fund (CVFF) Cardmember Only Show in the Theatre at Mercedes-Benz Fashion Week at Lincoln Center. This allows you the Cardmember first-ever access to a variety of runway shows, presentations and unique industry experiences through a groundbreaking partnership with MAC & Milk. Having participated in this in the past, I know your honey will love this!! Packages are available now at americanexpress.com/entertainment. In addition and for the first time ever, you can also purchase packages for a wide variety of runway shows and presentations at the Meatpacking District destination featuring designers such as Vena Cava, Peter Som, Richard Chai, Erin Fetherston, Jeremy Scott and many more. So if your honey would love unparalleled access to the Fashion industry, backstage meet-and-greets with some of the industry’s boldest designer names, makeup sessions with MAC specialty artists, private sessions with the esteemed team from notable Pipino Salon, entry to select after-parties and more go to americanexpress.com/entertainment for all the details. Finally, don’t forget that you can always follow them on Twitter @AmericanExpress and/or hashtag #amexfashion. I’m hoping that you will also follow my tweets @Bridalease hashtag#nyfw for access to the shows and designers we love. The question was asked, “Am I doing this kind of event again?” Keep watching, there’s something BIG in store. Can’t wait to see YOU on the runway. Fall is in the air brides and for those of you in the heat of planning, are you remembering to take time for yourself? I know you don’t think you have the time, but you need to take a break and check out the latest fashion trends. Starting today, I’ve got the opportunity-of-a-lifetime for you to be a part of this September’s fashion experiences with a couple of your most stylish friends. The American Express® Cardmember-only experiences offered during fashion week are known for their insider access into the industry unlike any other. This year they have partnered with Tory Burch to create an exclusive Cardmember-only event during Fashion Week. It will truly be a fashionable night offering a private viewing of the Tory Burch collection, with Tory herself on hand to meet and greet attendees. Yes, there will be some delectable cocktails and DJ Cassidy will be spinning the tunes. Why am I telling you this, because I am thrilled to offer one lucky bride and up to 3 of her friends this ultimate experience. There will also be a gift bag with some amazing goodies, including products from Dermalogica, to help you stay ready for your wedding day close-up. Not just open to brides, grooms if you want to do something super special for the lady in your life, or if you just want to attend, feel free to enter. I look forward to seeing you on Wednesday, September 15, at 9:30pm at Lincoln Center. Good Luck! 3. Then leave a second comment once you’ve tweeted, along with your Twitter name. 5. Share the Yours In Bridal Giveaway on Facebook and let us know via a comment on the Yours In Bridal Facebook page. You must be in NYC the day of the event, but you can submit your entry from anywhere in the world. I will select a random name from the list of people who have completed the five steps above, and will announce the name via the Yours In Bridal blog and Facebook Page on Saturday, September 11th at 11:59 PM EST. Good luck! Thanks American Express® for making this happen.